Getting into shape is certainly a struggle, but by no means is it impossible. People tend to flop from diet to diet hoping for a miracle treatment that is not realistic. Dr. Salerno and The Salerno Center for Complementary Medicine has designed the Silver Cloud Diet, a three-step nutritional approach that works around organic unprocessed foods, high protein, natural fat, and low carbohydrate, low-glycemic food choices. It really isn’t difficult to find a good diet and stick to it if you are willing to follow a few easy steps for dieting success. Step 1: The most important thing you can do on your diet is pay attention to everything you eat. This may seem like a hassle in the beginning but you will soon realize how simple it becomes, fitting into your daily routine. Step 2: When you choose what to eat make sure it is in moderation. Portion control is difficult in a nation that favors super-sizing everything, but by portioning your food you won’t have to worry about calories. Step 3: Drink at least 64 ounces of water every day and indulge in a tea or coffee in the morning. This will actually stimulate your digestive system and help you feel fuller faster. To really detox your body add a squeeze of lemon juice to your water. Step 4: Try and eat five small meals a day. These small servings of high protein and high fat meals will make your metabolism work better. This will also help with those cravings for junk food during the day. Step 5: Make sure you are paying attention to what your body is telling you. 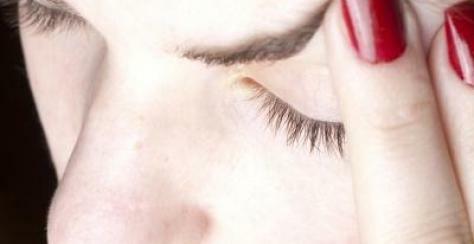 People tend to confuse the feeling of hypoglycemia (drop in blood sugar) with hunger. When your body is well-nourished on a regular basis throughout the day, it will regulate itself. Step 6: No diet is complete without exercise and proper rest. Make sure you are getting 8 hours of sleep per night and are fitting in 15 minutes of exercise every day. Make a goal for yourself of taking 10,000 steps per day. Step 7: Anything you can do to alleviate stress in your life is great for your diet. Practice techniques like yoga, meditation, and eliminating stressful people in your life. Step 8: For your diet regimen, the Silver Cloud Diet consists of: 2 eggs for breakfast, 4 to 5 ounces of fish or meat twice a day, eating small snacks throughout the day like, nutrient dense cheese, nuts, olives, jerky, ham, or turkey. It may seem like dieting is too much work, but each of these steps are very manageable. You will find that only after a short time these methods become part of your regular routine. Dr. Salerno has even suggested a few recipes to make this process easier, like Thai Beef Lettuce Wraps filled with tons of flavor. – Heat a large skillet, filmed with sesame oil before adding beef and ginger. – Saute beef until cooked through for about 5 minutes. – Stir in soy sauce, rice vinegar, remaining sesame oil and red pepper. Cook for about a minute. – Turn off heat and add onions, cilantro and mint. – Divide among lettuce leaves and serve with sliced cucumbers. Total Calories: 158. Fat: 5.5 g., Protein: 23.7 g., Carb: 5 g., FiberL 1.3 g.
The best way to successfully complete your diet is by following these easy steps from The Salerno Center for Complementary Medicine. Dr. Salerno’s Silver Cloud Diet is a three-step proactive approach to nutrition based on organic unprocessed foods, high protein, natural fat, and low-carbohydrate, low-glycemic choices, fortified with pure organic nutritional supplements targeted to strengthen your immune system, reduce inflammation, and destroy free radicals. Dr. Salerno advocates the use of bio-identical hormones, as well as a detox program to jump start your life plan. In the book you will get 75 terrific low carb recipes developed by his co-author, James Beard Award winning cookbook author, Linda West Eckhardt, as well as step-by-step instructions for normalizing your weight, improving your health, and extending your life. The Silver Cloud Diet is now available in paperback, as an ebook, and as an e-reader for Barnes & Noble Nook and Amazon Kindle. It is available for purchase at www.silverclouddiet.com. Carb Factor™ contains Phase 2 Starch Neutralizer®, a natural, non-stimulant adjunct for weight management that allows patients to eat complex carbohydrates yet limit their caloric contribution. Phase 2® is an all natural extract from the white kidney bean that helps reduce the enzymatic digestion of dietary starches. Two capsules of Carb Factor™ at least twice a day, taken before starchy meals or a snack, may assist in weight control when used in conjunction with a high protein diet and exercise program. 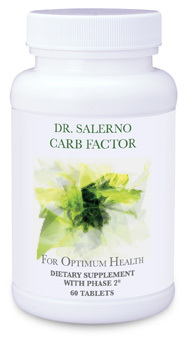 Dr. Salerno’s Glucose Factor™ is a leading-edge supplement combining well-studied natural ingredients and appropriate dosages. The ingredients in Glucose Factor, including Biotin, Chromium, Gymnema sylvestre, Lipoic Acid, Vanadium, and Cinnulin are of the highest quality, and work together to support healthy glucose levels, lower blood sugar, and improve insulin resistance. One contributing factor to the success of The Salerno Center is the constant evaluation of health information, which we find extremely important to our patients health needs. Fortunately, we have joined forces with Nearsay, a local area business network in the New York City area to provide you with the latest and greatest health news updates. So, next time your checking your e-mail for exclusive content, click on your source for trusted health information, The Salerno Center!